Kevin Lynch was an Executive Board member of the Communist Party USA dominated U.S. Peace Council 1983-1985-New York. In 1992, Kevin Lynch, labor journalist New York endorsed the Committees of Correspondence national conference Conference on Perspectives for Democracy and Socialism in the 90s held at Berkeley California July 17-19. 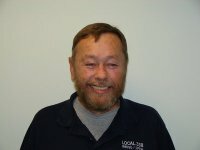 In 2009 Kevin Lynch, Business manager of Lodge 340, IAM served on the Advisory board of the Center for the Study of Working Class Life. This page was last modified on 6 September 2015, at 17:06.